A Note from Kelly King: It’s been a few years since someone accused me of being a “young” leader, but I have to admit that I love hanging out with them. I have much to learn from them—whether it be conversations about social media, learning pop culture, or just getting fashion advice. I especially want to be a learner when it comes to knowing how to connect them to God’s Word and being a spiritual mentor. No matter what stage of life you’re in, I know you’ll enjoy hearing from Gretchen Saffles today. “How old are you?” It’s one of the first questions I was asked when I began working in women’s ministry. I was fresh out of college with big dreams swirling around in my mind, a passion for reaching women propelling my steps, and a vision for what that could look like in my heart. A kind, older woman in our church asked me this question without meaning to discourage or belittle me the first time she and I met. Little did she know, I’d been asked this particular question more than once in my life, and it had begun to wear on me. 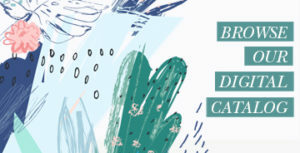 “Twenty-three,” I answered timidly, knowing full well that my age would be a giant hurdle I’d have to lug around with me as I began the journey of a life in ministry. At the ripe age of twelve, as a scrawny 6th grader who was captivated by Christ, I committed my life to full-time Christian service at a youth retreat. I knew without a shadow of a doubt I wanted to stand out in a crowd for Jesus. And stand out I did. Throughout middle school, high school, and into college, I led Bible studies for those in my circle who were my peers and occasionally for those who were older than me. Women’s ministry was brand new territory for me, and I knew my first position would bring with it a steep learning curve as well as ample amounts of wisdom from the women I’d be working alongside. But still, my age seemed to be a hurdle I just couldn’t get past. Why? Because it was apparently a hurdle other people couldn’t get past as well. While I believe that age brings with it a great deal of experience that can only come with years of trudging through the valleys and ascending the heights of this life with Jesus by one’s side (Job 12:12, Proverbs 16:31), I also believe that God can use younger women to teach valuable lessons to those who are older. Oftentimes, these lessons serve as reminders of the freedom, joy, and boundless passion that is cultivated in the youthful, Jesus-loving heart. As the years have progressed, I’ve transitioned from my initial role in women’s ministry to leading a growing online women’s ministry. 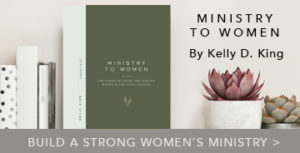 Through this ministry the Lord has opened opportunities to write Bible study materials and gospel-centered content that is used by both younger women and older women. Occasionally, I’ve taught in settings where women much older than I am were scattered throughout the crowd. Any time I am in a setting such as this, I come in with palms up to my Savior who is both my Equipper and my Leader. It is He who I follow, and it is He who I proclaim with my words. Ultimately, the hope of the gospel and the timelessness of God’s Word defies the odds of age and bridges any generation gap. 1. Your age does not define your faith. Just because you are in your twenties or at the start of a life in ministry doesn’t mean your love for Jesus is any less than someone who is older. There will be times your spiritual journey will have been longer than someone in their 80s. What matters is the depth of your faith roots. Be deeply rooted in the Word of God (Colossians 2:6-7). 2. Be teachable. Along those same lines, bring a humble heart with you wherever you go. There will be times you will mess up in ministry or have to learn a lesson the hard way. In those moments, have a teachable spirit. Be willing to listen, grow, and do things differently than you might think is best. As young leaders with radical faith, our tendency is to think we’ve figured out how ministry should really be done. With that mindset, we often bring a prideful spirit into our roles, and as we know, “pride comes before a fall” (Proverbs 16:18). Always be humble and ready for loving correction, direction, and affection. 3. Do your best with what is entrusted to you. Perhaps you’ve only been given a “small” role because of your age. There is no small task in the kingdom of God. If you’re scrubbing toilets at the church, do it for the glory of God. If you’re in charge of printing off roles for Bible study groups, do it for the glory of God. If you’re teaching a Bible study, do it for the glory of God (1 Corinthians 10:31). If we are unwilling, as young leaders, to be trained, equipped, and faithful in even the smallest of tasks, we won’t be faithful in the large ones either (Luke 16:10). Don’t desire the platform before you’ve been faithful to build the kingdom of God right where you are. 4. Be confident in your calling. Whatever you do, remember this: “God’s gracious gifts and calling are irrevocable” (Romans 11:29). That word, irrevocable, means final, referring to something that cannot be changed. God who called you is your ultimate Leader, Teacher, and Guide. When God calls you to do something, He also equips you for the task. Ultimately, you are accountable to Him in the ways that you live your life and fulfill your calling. Go forward with these words propelling all that you do, “Be diligent to present yourself to God as one approved, a worker who doesn’t need to be ashamed, correctly teaching the word of truth” (2 Timothy 2:15). 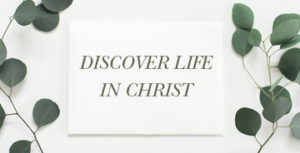 Don’t be ashamed, embarrassed or timid about your calling (Romans 1:16). Be confident in the One who called you. 5. Set the bar through your lifestyle. Lastly, as you aim to be confident in your calling, faithful in the little things, humble in heart, and defined by Jesus, set an example through your patterns of life. The way you talk, dress, post on social media, respond in times of difficulty, and interact with your peers are all opportunities to display the love of Christ. No moment is exempt from being His ambassador (2 Corinthians 5:20). Your life should be a living example of Jesus’ grace, hope, truth, purpose, and purity. Your words mean nothing if they are not backed up by your actions (1 Corinthians 13:1-3). If those around you look down on you due to your age, you will earn their respect and trust as you live a faithful, consistent life of discipleship, service, and love. Keep your eyes on the cross, not the crowd. You are defined by your Savior. Follow in His footsteps. It’s been five years since I first started my journey in women’s ministry, and I still haven’t even reached my thirties. But one thing I have learned at my “young” age of 28 is this: at the end of the day, the message and hope of the gospel within us is the same, regardless of our age. When our hearts are solely set on knowing Jesus and making Him known, the age brackets disintegrate and our arms become linked together as we follow Him. The older woman who initially asked me how old I was later became a dear friend and mentor of mine. God linked our arms together to minister together and to one another. Our age gap of several decades ultimately meant no difference because we both love and follow the same God. I have come to embrace the fact that learning to lead while I’m young is actually a process of discipleship and learning to follow Christ, and that’s a lesson that I’ll still be learning even when I’m old and gray. Gretchen Saffles is passionate about encouraging and equipping women to dig into the Word of God and find their identity and purpose in Christ. She is the founder of Well-Watered Women, an online women’s ministry that reaches worldwide. 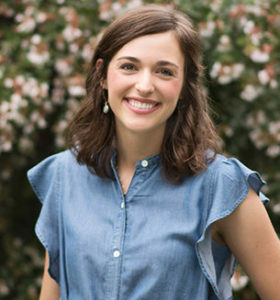 She has written several Bible studies including “Redefined: Identity in Christ” and “Proverbs 31: Women of Dignity, Washed in Grace.” She is also the creator of the “Give Me Jesus” quiet time journal for women. Through her online ministry she longs to meet women right where they are with the hope of the gospel and ignite a desire in their hearts to know Jesus more. On any given day you can find her with a coffee cup in hand, a toddler by her side, a message stirring in her soul, and a God-sized dream on her heart. Gretchen lives in Atlanta, Georgia with her husband, Greg, and her son, Nolan. What Does It Mean to Be an Example?